This is gorgeous and somewhat hilarious! Darker than the inside of a cow?! I have never heard that saying before :) hah! I love your project so far. 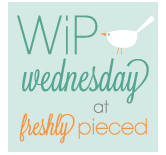 Thank you for sharing :) I'm stopping by from WiP Wednesday. There's more applique and applique techniques in this one quilt than I have tried in all my quilts ever. I need to start stretching my skills a bit! Love your applique - it is such a beautiful design! Sandra, you are so funny... thank you for the laughs! Your round robin is coming along beautifully! LOL, yes, you're using one of our beloved Dad's phrases there - darker than the inside of a cow. I seem to recall him saying that about a polar bear's rear end too LOL!!! Darker than the inside of a polar bear's bum! Good grief! And other unmentionable phrases related to the dark which are so blatantly politically incorrect but just flowed out of his mouth...... sigh, how I miss him! 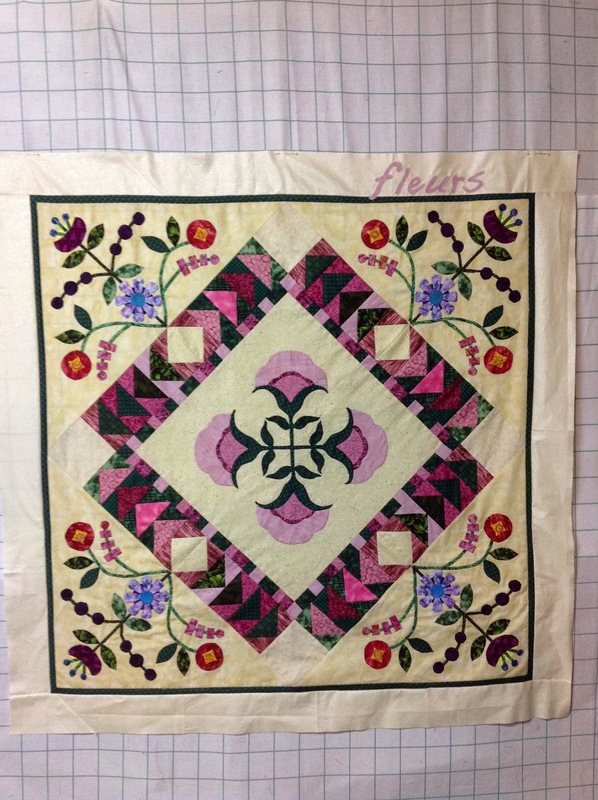 ANYway, LOVE the "fleurs" and the font you chose for it; couldn't be a better word to place on the quilt.